You must have spent the last 20 years on a distant planet if you’re unaware that we’re heading for Antibiotic Armaggedon — the rise of “Superbugs”, i.e., bacteria resistant to once-successful medication. Microbes resistant to multiple antimicrobials are called multidrug resistant. It’s a desperate matter because it means trivial infections may become fatal and currently safe surgical procedures may become dangerous. 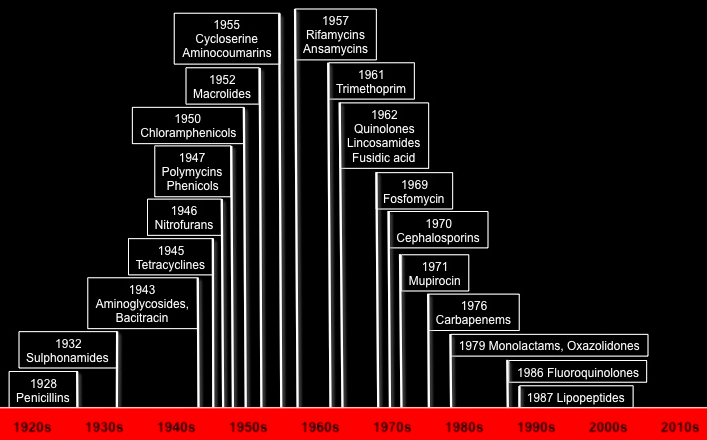 Time-line of the discovery of different antibiotic classes in clinical use. The key point is that the last antibiotic class to become a successful treatment was discovered in 1987. It’s 30 years since we came up a new class of antibiotics. The golden age launched by Fleming’s celebrated discovery of penicillin is long gone and while the discovery curve has drifted ever downwards since 1960 the bugs have been busy. Just how busy a bug can be was shown by a large-scale experiment carried out by Roy Kishony and friends. They built a “Mega-Plate” — a Petri Dish 2 ft by 4 ft filled with a jelly for the bacteria to grow in. The bugs were seeded into channels at either end so they would grow towards the middle. The only thing stopping them was four channels dosed with antibiotic at increasing concentrations — 10 times more in each successive channel. The bugs grow until they hit a wall of antibiotic. There they pause for a think — and, after a bit, an intrepid little group start to make their way into the higher dose of drug. Gradually the number of groups expand until a tidal wave sweeps over that barrier. This is repeated at each new ‘wall’ — four times until the whole tray is a bug fest. When they pause at each new ‘wall’ they’re not ‘thinking’ of course. They’re just picking up random mutations in their DNA until they are able to advance into the high drug environment. So this experiment is a fantastic visual display of bugs becoming drug-resistant. And it’s terrifying because it takes about 11 days for them to overcome four levels of drug. It’s even more scary in the speeded-up movie as that lasts less than two minutes. It should do as this is a cancer column and readers will know that cancers arise by picking up mutations. To highlight the similarities the picture below is the left-hand half of the bug tray with new colonies shown as linked dots. You could perfectly well think of these as early stage cancer cells acquiring mutations in ‘driver’ genes that push them towards tumour formation. So that’s pretty scary too and the only good news is that animal cells reproduce much more slowly than bacteria. The fastest they can manage is about 48 hours to grow and divide into two new cells and for many it’s much slower than that. Bugs, on the other hand, can do it in 20 minutes if you feed them enough of the right stuff. Which is why we don’t all get zonked by cancer at an early age. The evolution of bacteria on a “Mega-Plate” Petri Dish. The vertical red lines mark the boundaries of increasing antibiotic concentrations. You could equally think of each dot that represents a new bacterial colony being early stage cancer cells acquiring mutations in ‘driver’ genes (white arrows) that push them towards tumour formation. From Roy Kishony’s Laboratory at Harvard Medical School. But for once I don’t want to talk about cancer but about a really fascinating piece of work that caught my eye in the journal Cell Reports. It’s by Gianni Panagiotou, Kang Kang and colleagues from The University of Hong Kong and The Hans Knöll Institute, Jena, Germany and it’s all about their travels on the Hong Kong MTR (Mass Transit Railway). 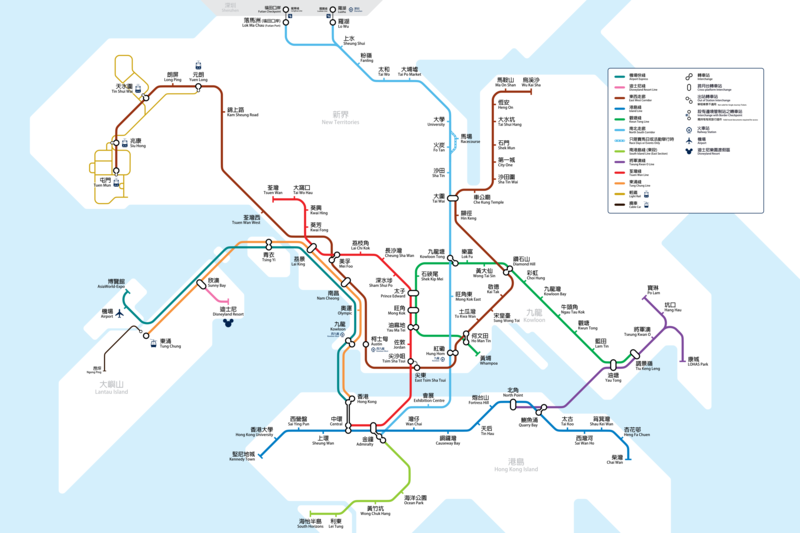 This is the network of over 200 km of railway lines with 159 stations that serves the urbanised areas of Hong Kong Island, Kowloon, and the New Territories and has a cross- border connection to the neighboring city of Shenzhen in mainland China. 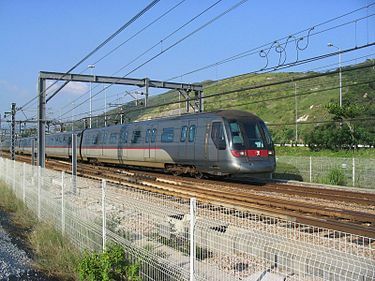 An MTR train on the Tung Chung line that links Lantau Island with Hong Kong Island. And if you’re thinking it might be possible to take a trip on the Hong Kong Metro without grabbing a handrail or otherwise engaging in what on the London Underground used to be called ‘strap-hanging’ you clearly haven’t tried it! The MTR System and Sampling Procedure. Left: The eight urban lines studied: the Airport Express line and Disneyland Resort branch were excluded. The Central-Hong Kong station and the cross-border rail stations connecting with the MTR and the Shenzhen metro system are labeled. Right: The sampling procedure included handwashing, handrail touching for 30 min and swabbing. From Kang et al. 2018. Four groups (phyla) of bacteria dominated: Actinobacteria [51%], Proteobacteria [27%], Firmicutes [11%] and Bacteroidetes [2%]. Followers of this blog will be delighted to spot the last two (B & F) as we’ve met them several times before (in Hitchhiker Or Driver?, Fast Food Fix Focuses on Fibre, Our Inner Self, The Best Laid Plans In Mice and Men, and, of course, in “it’s a small world”) — that’s how important they are in the context of cancer. The dominant organism (29% of the community) was P. acnes (one of the Actinobacteria — it’s the bug linked to the skin condition of acne). Some non-human-associated species (e.g., soil organisms) also popped up that varied enormously in amount from day to day — perhaps because of weather conditions (e.g., humidity). Variation in the make-up of the microbial communities picked up depended, more than anything else, on the time of day. There was a marked decrease in diversity in afternoon samples compared with those taken in the morning. Specific species of bacteria associated with individual metro lines. That is, sets of bug types are relatively abundant on a given line compared with all other lines, giving a kind of line-specific signature — though the distinction declines from morning to afternoon. The most physically isolated line, MOS (Ma On Shan), had a greater number of signature species. The MOS runs entirely above ground alongside the Shing Mun Channel, a polluted brackish river, and its ‘signature’ includes bacteria found in sewage. All of which brings us to bugs with antibiotic resistance genes (ARGs). Across the network 136 ARG families were detected including 24 that are clinically important. Strikingly, lines closer to Shenzhen (ER (East Rail) and MOS) tend to have higher ARG input during the day. Critically, the ER line a.m. signatures become p.m.-enriched in all MTR lines far from Shenzhen — that is, these ARG families spread over the network during the day. 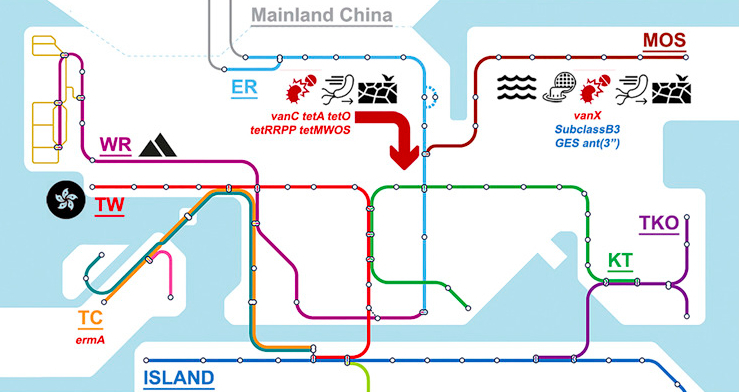 Simplified map of the Hong Kong MTR indicating how antibiotic resistance genes spread during the day from the ER and MOS lines to the entire network. Tetracycline resistance genes: tetA, tetO, tetRRPP and tetMWOS; vancomycin resistance genes: vanC, vanX. From Kang et al. 2018. These results clearly suggest that the ER line, the only cross-border line linked to mainland China, may be a source of clinically important ARGs, especially against tetracycline, a commonly used antibiotic in China’s swine feedlots. Antibiotics, including tetracycline, can be detected in the soil in the Pearl River Delta area where the cities of Hong Kong and Shenzhen are located. It should be said that this is by no means the first survey of bugs on rails. Notable ones have looked at the New York and Boston metro systems and they too revealed the potential health risks of the bug communities found on trains and in the stations, including the presence of pathogens and antibiotic resistance. The Boston survey highlighted that different types of materials have surfaces that are preferred by different microbes with high variation in functional capacity and pathogenic potential. One obvious suggestion from these studies is that world-wide we could do a lot to improve sanitation, e.g., by having hand sanitizer dispensers in all sensible places (at the exits of metro, railway and bike-sharing stations and airports and of course in hospitals). The Hong Kong data are seriously frightening and most people seem blissfully unaware that the invisible world they reveal carries the potential for the destruction of us all. Have a nice day commuters, wherever you are! Kang K., et al. (2018). The Environmental Exposures and Inner- and Intercity Traffic Flows of the Metro System May Contribute to the Skin Microbiome and Resistome. Cell Reports 24, 1190–1202. Wu, N., Qiao, M., Zhang, B., Cheng, W.D., and Zhu, Y.G. (2010). Abundance and diversity of tetracycline resistance genes in soils adjacent to representative swine feedlots in China. Environ. Sci. Technol. 44, 6933–6939. Li, Y.W., Wu, X.L., Mo, C.H., Tai, Y.P., Huang, X.P., and Xiang, L. (2011). Investigation of sulfonamide, tetracycline, and quinolone antibiotics in vegetable farmland soil in the Pearl River Delta area, southern China. J. Agric. Food Chem. 59, 7268–7276. Leung, M.H., Wilkins, D., Li, E.K., Kong, F.K., and Lee, P.K. (2014). 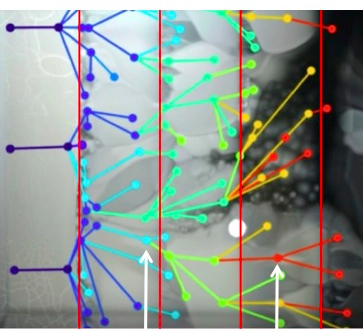 Indoor-air microbiome in an urban subway network: diversity and dynamics. Appl. Environ. Microbiol. 80, 6760–6770. Robertson, C.E., Baumgartner, L.K., Harris, J.K., Peterson, K.L., Stevens, M.J., Frank, D.N., and Pace, N.R. (2013). Culture-independent analysis of aerosol microbiology in a metropolitan subway system. Appl. Environ. Microbiol. 79, 3485–3493. Afshinnekoo, E., Meydan, C., Chowdhury, S., Jaroudi, D., Boyer, C., Bernstein, N., Maritz, J.M., Reeves, D., Gandara, J., Chhangawala, S., et al. (2015). Geospatial Resolution of Human and Bacterial Diversity with City-Scale Metagenomics. Cell Syst 1, 72–87. Hsu, T., Joice, R., Vallarino, J., Abu-Ali, G., Hartmann, E.M., Shafquat, A., Du- Long, C., Baranowski, C., Gevers, D., Green, J.L., et al. (2016). Urban Transit System Microbial Communities Differ by Surface Type and Interaction with Humans and the Environment. mSystems 1, e00018–e00016.